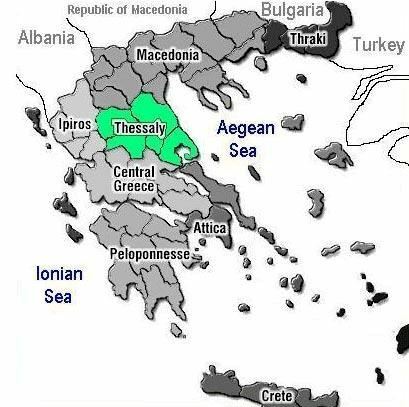 Thessaly was home to extensive Neolithic and Chalcolithic cultures around 6000 B.C. - 2500 B.C. In Archaic and Classical times, the lowlands of Thessaly became the home of baronial families, such as the Aleuadae of Larissa or the Scopads of Krannon. In the 4th century B.C. Jason of Pherae transformed Thessaly into a significant military power. Shortly after, Philip II of Macedon was appointed Archon of Thessaly, and the region was associated with the Macedonian Kingdom for the next centuries. Later Thessaly became part of the Roman province of Macedonia. (9) Melitaea Late 4th cent.